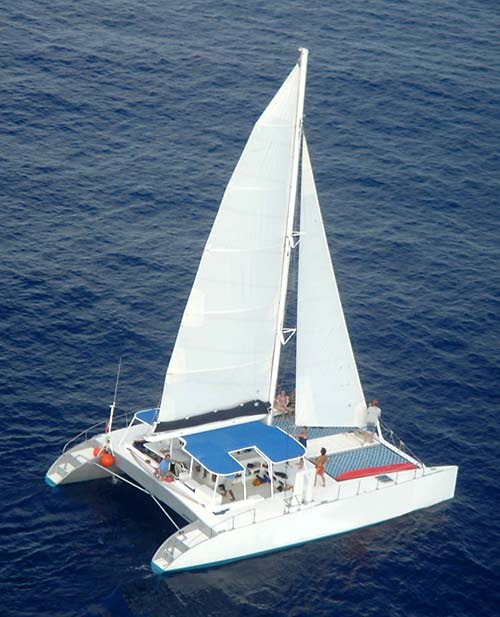 Set sail with us on your own private catamaran charter. You'll enjoy the morning breezes of the Mexican Caribbean surrounded by your family and friends aboard the Paso Doble. You can snorkel, swim, or just enjoy the tropical beauty of the Riviera Maya. 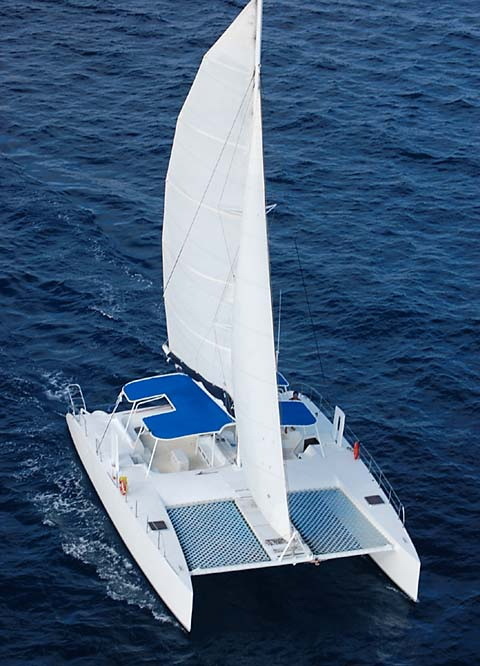 Our 46-foot catamaran is yours for the morning. We specialize in weddings, family reunions, memorial services, corporate events, and other occasions to remember. Sunset on the Mayan Riviera is our favorite time of day. 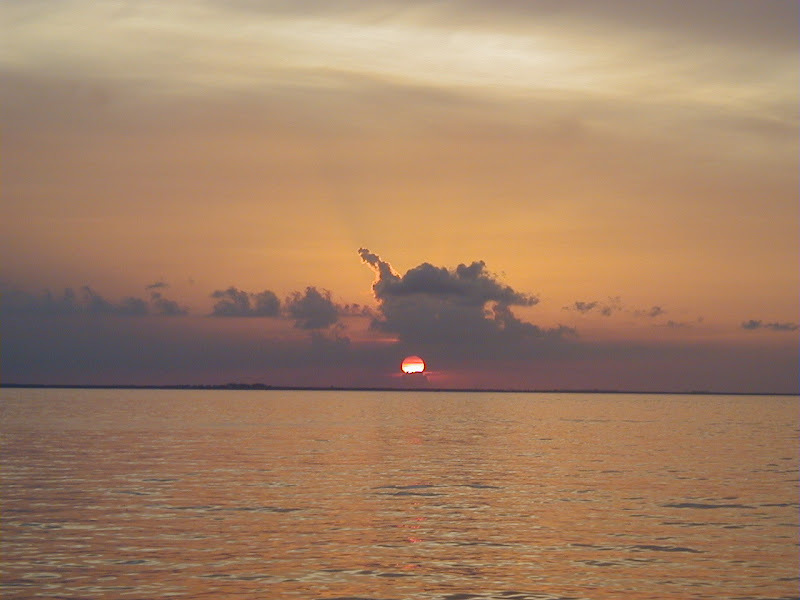 You'll understand how we feel when you experience our sunset sailing tour aboard the Paso Doble. There's no better place to soak up the last rays of the tropical sun than our graceful 46-foot catamaran as we cruise up the Caribbean coastline. Our full-day tour gives you an opportunity to enjoy both the sand and sea of the Mayan Riviera. 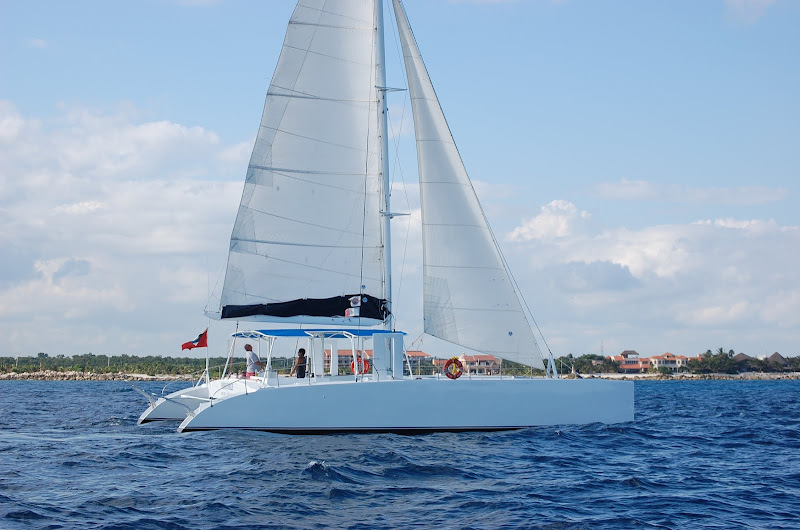 Our 46-foot catamaran will take you out on the water of the Mexican Caribbean to snorkel, swim, and sail. On land, we'll visit a crystal clear fresh-water pool known as a cenote and then treat you to one of the finest beaches along the Riviera Maya and a delicious fajita buffet (optional). If you're hosting a wedding, family reunion, corporate event, or other special occasion, a full day of togetherness will create memories to last a lifetime.